Last weekend we decided to run the NYCRUNS Hot Chocolate 5K at Riverside Park with a few friends. We ran the same race back in February and figured it would be a fun way to work off some of the turkey and sides we indulged in over Thanksgiving. Prior to the race, we were a little concerned about possible chilly temperatures but it turned out to be a mild day perfect for outdoor running. After the race, we rewarded ourselves with brunch at Indian Road Cafe, a popular place for good eats in the Inwood neighborhood. Allen tried something new and ordered the Tofu Scramble while Kristina ordered Eggs Benedict, her favorite for brunch. 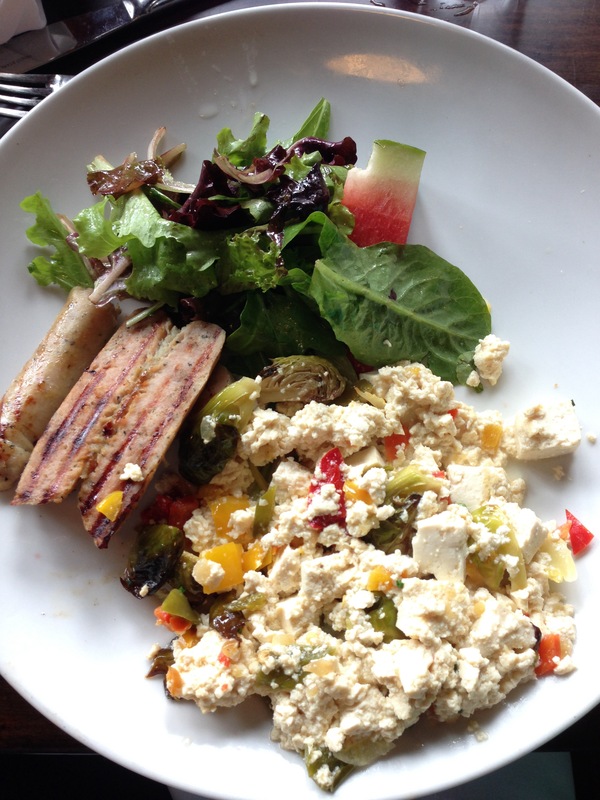 The scramble was very good and might inspire us to make more tofu dishes on our own. 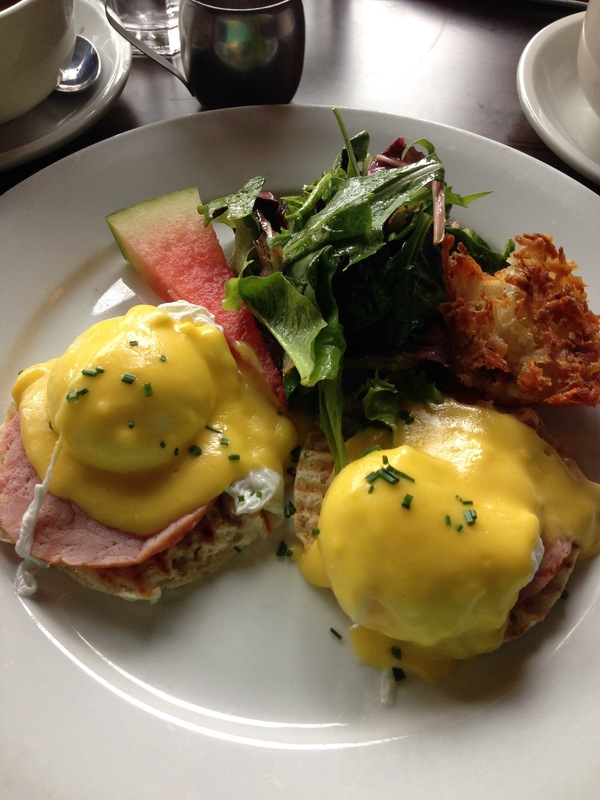 The Eggs Benedict were predictably delicious, and the salad and parmesan potatoes that accompanied them made for a tasty plate. Not only did it feel good to complete a 5K, it was great to catch up with friends and meet new ones. If you’re ever in Inwood, we highly recommend going to Indian Road Cafe!